Alan Colmes, of Fox News Radio, interviewed me last Thursday, less than 24 hours after my release from the Shelby County Jail. 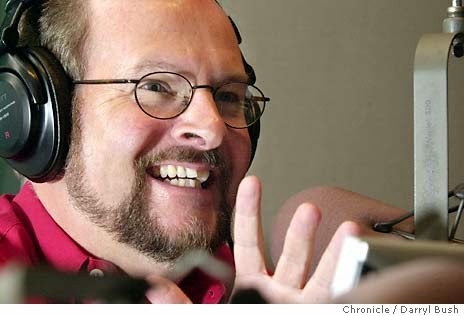 San Francisco-based radio host Peter B. Collins interviewed me the next day. In both interviews, I discussed the circumstances of my release and provided insights about life behind bars in an Alabama jail--one I was told that is built to the level of a maximum-security prison, although without the "amenities" of a prison. My jailhouse experiences included witnessing an inmate suicide. My release came after my wife, Carol, managed to remove certain items from this blog, along with some from my Twitter and YouTube accounts. She then prepared a proposed release order and twice reached Judge Claud Neilson by phone to ensure that everything was in order. I called Carol from jail at about 2 p.m. last Wednesday, not knowing if any progress had been made. But she talked about her conversations with Neilson, and about two hours later, I was told at the jail to pack up my things and come to the door--those usually are the magic words that an inmate is about to go home. Removal of the Web items was not our desired outcome, I told the interviewers. We had hoped to receive legal assistance that would have allowed me to be released based on the fact that a preliminary injunction in my case is unlawful, contrary to long-held U.S. Supreme Court law under Near v. Minnesota. But that process was dragging out, and having witnessed one inmate death and hearing about two others while I was at the jail, I felt it was imperative to seek my release by any lawful means necessary. That meant abiding by a court order that had been issued on October 21, 2013. 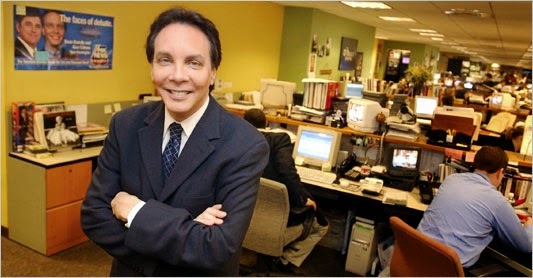 Colmes asked if I could have accomplished the same result by acting earlier, and I said, "I don't know." I noted that I had challenged service, which was conducted via an unconstitutional traffic stop, but I was arrested before ever receiving a ruling on that. I should note now that I was prepared to challenge the unlawful notice we received (barely 24 hours) on the preliminary-injunction hearing, but again I was behind bars before that could be done. At my one hearing before Neilson, on November 14, 2013, I stated that removal of the items was unlawful under Near v. Minnesota--but that argument did not seem to grab the court's attention. If I were to remove the items, I asked Neilson, how was I to accomplish that task when I was at a jail with no access to a computer or the Internet? Neilson's reply was along the lines of, "Mr. Shuler, that's up to you to figure out." Given the court's tone, I saw almost no way to get out at any time during late 2013. I sensed that things might be softening a bit sometime in February 2014. Carol states that during her two phone conversations with Neilson, the judge was cordial and came across as fair and understanding. The court seemed open to making my release happen quickly, and I did not have that impression earlier. In the interviews, I got emotional at several points, especially when discussing my reunion with Carol, who did heroic work to keep this blog going and to share my story with any reporters who wanted to listen. I also got emotional when discussing my fellow inmates, who generally treated me with respect and kindness. Several became friends, and I hope to stay in touch with them in the future. I noted that many inmates seem to have mental-health issues--drug and alcohol problems--that do not seem to get proper attention in the jail environment. Roger Shuler, a veteran journalist and publisher of the Legal Schnauzer blog, was released yesterday afternoon from the Shelby County Jail, where he had spent more than five months from the fallout of a defamation lawsuit. Shuler was released about 4:15 p.m. at the jail in Columbiana, Alabama, where he had been the only incarcerated journalist in the Western Hemisphere. The arrest and incarceration has drawn national and international news coverage. Among the media outlets providing coverage are The New York Times, Al Jazeera, Huffington Post, Salon, Think Progress, WhoWhatWhy, FireDogLake, and more. Journalist/Attorney Andrew Kreig has provided ongoing in-depth coverage at his Washington-D.C.-based Justice-Integrity Project. Radio host Peter B. Collins has provided regular updates from his base in San Francisco. Alan Colmes, of Fox News Radio, conducted a jailhouse interview with Shuler just last week, via telephone. "I am grateful to have my freedom restored," Shuler says. "I also am grateful for the support of many readers, friends, and justice-focused citizens. This has been a traumatic experience for me and my wife, Carol, who has done a wonderful job of keeping our audience updated in my absence. Jail, of course, is not meant to be a pleasant experience, and I can provide first-hand testimony that it definitely is an unpleasant place to be, more so than probably many of us can imagine. It takes a tremendous physical, mental, and emotional toll." We will have more details in upcoming posts. This is Carol, Roger's wife. Attorney and author Andrew Kreig of Washington, D.C. visited Legal Schnauzer publisher Roger Shuler at the Jefferson County Jail on Monday, March 10. Kreig had traveled to the state on Thursday, March 6, to take part in that weekend's commemoration of the Selma march anniversary. Kreig had attempted to visit Shuler upon his arrival in Birmingham on Thursday afternoon. However, officials at the Jefferson County Jail told Kreig that Shuler "was not there" despite the fact that Shuler was shown to be an inmate at Jefferson County Jail per their website and calls to the facility prior to the attempted visit indicated he was indeed being detained there. It is anyone's guess as to why officials mislead Kreig regarding Shuler's whereabouts when he stopped by the Jefferson County Jail on March 6. Thankfully, however, Kreig was able to finally meet with Shuler on Monday in the jailed journalist's second only visit by a reporter since his arrest on Oct. 23. Kreig, executive director of the Washington, D.C.-based nonprofit Justice Integrity Project, has been covering the Legal Schnauzer first amendment case extensively since the investigative reporter's beating and unlawful arrest on Oct. 23. Following the jailhouse interview, Kreig wrote an article about his visit with Shuler which was published March 14. "Alabama commentator Roger Shuler's condition has sharply worsened during his nearly five months of jailing, as I learned by visiting him in Birmingham March 10. 'It's a horrible trauma to be away from your wife, your home -- and have no idea when you can get out or how,' Shuler told me in a rare interview regarding his case, in which he is being held without bond in a civil case with no possibility foreseeable freedom unless he spikes his stories in apparent violation of Supreme Court protections for the public and the press. 'I've been treated fairly well by fellow prisoners,' Shuler told me. 'But some of them come in hyped up on drugs, and I've barely escaped some vicious fights, typically over some little thing like who gets to use a phone for a 15-minute call. Anybody can get killed, and I saw it happen.'" Why Was Legal Schnauzer Publisher Roger Shuler Detained at the Jefferson County Jail? This is Carol, Roger's wife. Legal Schnauzer publisher Roger Shuler recently was held for more than a week at the Jefferson County Jail because of a hearing in the Jessica Medeiros Garrison case. Shuler was transported for a 30 minute hearing on March 5 before Circuit Judge Don Blankenship. Shuler expected to be returned that day, but stayed in the Jefferson County Jail for a week before he was finally returned to Shelby County. "I have no idea why I was detained so long at the Jefferson County Jail," Shuler said. "I don't know if it's just a case of general incompetence or someone was intentionally interfering with my case, but my experience in the Jefferson County Jail was extremely unpleasant." This is Carol, Roger's wife. The law is "crystal clear" that a preliminary injunction in an alleged defamation case is unlawful under the first amendment according to a free speech expert. Paul Alan Levy, an attorney with Public Citizen, was talking about a Virginia case styled Dietz v. Perez. But he might has well have been talking about the case of Legal Schnauzer publisher Roger Shuler because the two cases are almost identical in terms of facts and applicable law. Levy's statement provides further proof that Shuler's incarceration is not grounded in law and he is due for immediate release. Despite the clear cut nature of the law, Levy said it is not unusual for judges to grant preliminary injunctions in such cases. That simply is a sign that laziness and incompetence run deep in America's courtroom. "At the appellate level, and in the reported cases, it is crystal clear that, as the petition for review argues, a preliminary injunction against alleged defamation is an impermissible prior restraint. But it is not uncommon to hear about trial judges issuing temporary restraining orders or preliminary injunctions against alleged defamation. These orders are often made because they are sought ex parte and the judge does not do original research leading to clear law forbidding ex parte injunctions against speech, or because the defendant’s lawyer lacks enough sophistication to recognize and argue the prior restraint issue, or, in the end, because the trial judge just wants to do what he sees as fair. It is also not unusual for trial judges to “split the baby” by issuing an order that gives something to both sides. Apparently, we need more appellate precedent reminding trial judges that the First Amendment forbids such injunctions." This is Carol, Roger's wife. 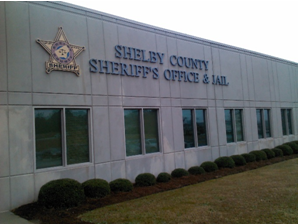 An inmate was severely beaten by another inmate on Feb. 26 in the cell block where Legal Schnauzer publisher Roger Shuler is housed at the Shelby County Jail. The fight apparently started over theft of a telephone PIN account, the same problem for which Shuler has been victimized. "This was the second most disturbing event I've witnessed in jail, next to the suicide of an inmate," Shuler said. "One man wound up with numerous welts and abrasions all over his head and face so the potential is there for serious damage. It's particularly disturbing that this involved alleged theft of a PIN account because I've experienced that myself. I know from experience that the Shelby County Jail provides no security or privacy for telephone use, and it's extremely easy for PIN information to be stolen. Even worse, the jail has done nothing to investigate my case which involved the loss of $99 and I'm still out that money and I have no evidence that the jail has even looked into it." This is Carol, Roger's wife. The headline on The New York Times article says the Legal Schnauzer case raises questions about the first amendment. One sentence in the article says that the case makes for "an exceptionally messy test of constitutional law." But the article as a whole does not say that at all. In fact, the article states that the case really is about judicial incompetence and corruption in an Alabama courthouse. 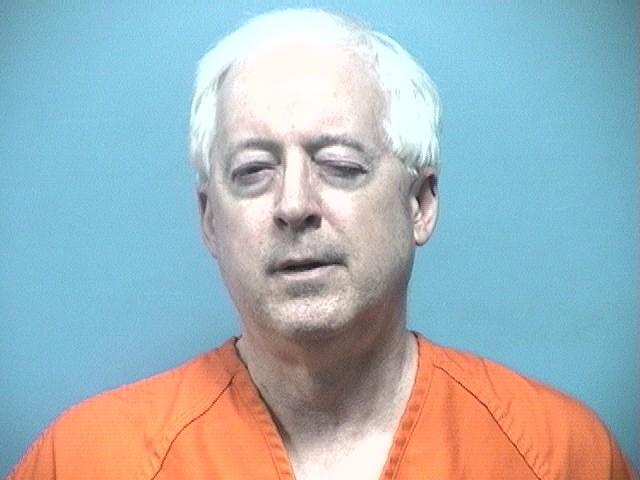 Every legal expert cited by The Times says that Alabama Circuit Judge Claud Neilson has ruled unlawfully in the Legal Schnauzer case, resulting in the incarceration of publisher Roger Shuler. None of the experts says that the case raises new issues regarding the first amendment. A 2012 Virginia case called Dietz v. Perez states unequivocally that a preliminary injunction in an alleged defamation case is unlawful under the first amendment. The facts and procedure of the Schnauzer case are almost identical to Dietz, and that means that Shuler's incarceration is unlawful and he is due to be released immediately. "This case really is about unlawful actions in an Alabama courtroom." Shuler said. "The first amendment has been rock-solid for roughly 230 years and the Dietz case shows that it's still very much intact and nothing in my case raises new issues regarding the first amendment. It simply is a matter of a rogue judge who has so far gotten away with making rulings that go way outside the law." This is Carol, Roger's wife. Legal Schnauzer publisher Roger Shuler will appear at a hearing at 9 a.m. on Wednesday, March 5 at the Jefferson County Courthouse. The hearing, before Judge Don Blankenship, is in a lawsuit filed by Republican political figure Jessica Medeiros Garrison. The hearing reportedly will involve an attempted default judgment that Garrison is seeking. Shuler is unlawfully incarcerated in the Shelby County Jail because of a lawsuit filed by Rob Riley, one of Garrison's Republican political allies. 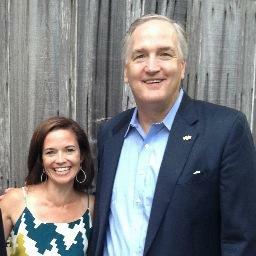 Garrison is the former campaign manager for Alabama Attorney General Luther Strange.